What kind of bike are you? I couldn’t answer this question when Ride 2, a simulation of motorcycle racing from Italian developer Milestone S.r.l., asked me out of the blue. The sad truth is that in the moment I panicked, and during this existential crisis I did the only thing a kid from the 90s could do. I picked the bike that looked like a Kawasaki Ninja 250R. Asking for a bike-based identity might seem like an odd request when you first hear it, but there is no better phrase to represent this game. Given the number of driver assistance features programmed into Ride 2, it is obvious that Milestone S.r.l. is not expecting you to have a history with bikes; however, they’ve clearly made a game to cater to those already steeped in bike culture. Once the panic subsided I was surprised at how familiar Ride 2 felt, but that’s because Ride 2 borrows heavily from Microsoft’s Forza franchise. To be clear, when I say borrow I mean in the same way that a thief will borrow money from a vault. The menu system, the way the vehicles are fetishized, the way individual races are organized into larger events, the process for purchasing and upgrading bikes, the progression skill levels, the way players earn currency, and other features are so similar that one game could be mistaken for a modification (or mod) of the other. This doesn’t make Milestone S.r.l. the bad guys. Every racing game now has a rewind button to undo accidents, and they didn’t all come up with the idea individually. On top of that, Milestone S.r.l. is a company primarily made up of Italians, of course they are going to borrow from the game that is literally titled force (or power) in their native language. By borrowing well-executed features you have a better chance of making a good game. This means you only need to get the other parts correct, and I am happy to announce that Ride 2 is generally a very solid title. The tracks that they licensed are faithfully recreated and those that I didn’t recognize are well put together. I often got distracted by the way a distant mountain looked or a helicopter flying across the sky-box. If I really wanted to be a jerk I could note that the track level item (or model) density is a little low compared to other racing games, but you’ll never feel ripped off by the tracks. The roughly 170 bikes in the game look even better due to a level of detail that borders on insane. It is common practice for racing games to get their modelling data right from the vehicle manufacturers. It is done this way so that the vehicle models look and feel hyper-realistic. The bikes of Ride 2 look so good that I would bet that Milestone S.r.l. is working with manufacturing data as well. 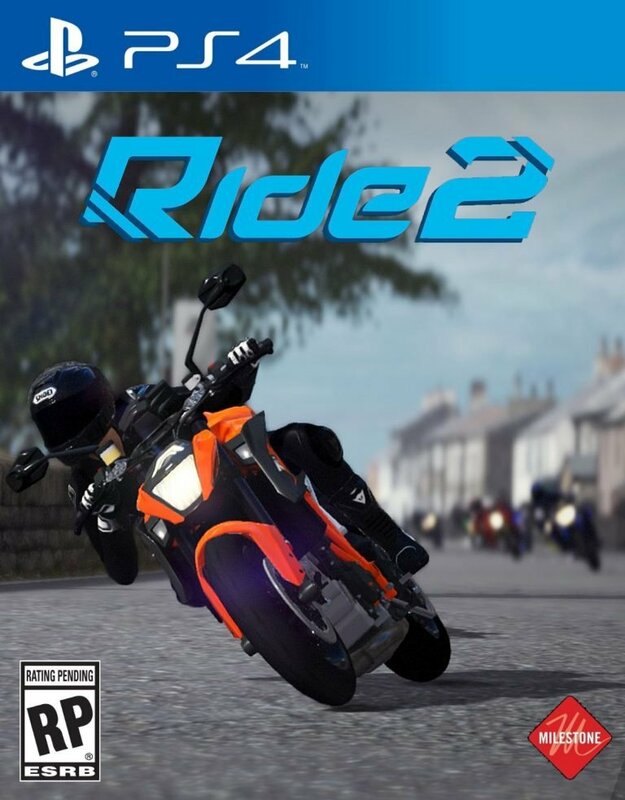 In the gameplay department Ride 2 is solid but lacks a bit of diversity. Once players pick that initial bike I mentioned earlier they can create their own race, play online, or try to beat the game’s lengthy season mode. As players progress throughout the events they earn in-game currency to buy new bikes or upgrade the bikes they already have, or they can beat the difficult invitational events to earn new bikes as prizes. Ride 2 does its best to mix things up by constantly changing the track and configuration for each race. I especially liked how Ride 2 breaks seasons up into whatever 10 or so races you enter. This gives the player more freedom to ride the kind of bikes they want, but despite that Ride 2 still has a pacing issue. Ride 2 loves grinding more than I love anything in this world. I know this to be a fact because I had to grind the same races with various bikes to earn more money and buy more bikes. The bike I mentioned at the beginning of this review is the only bike the game hands to you. 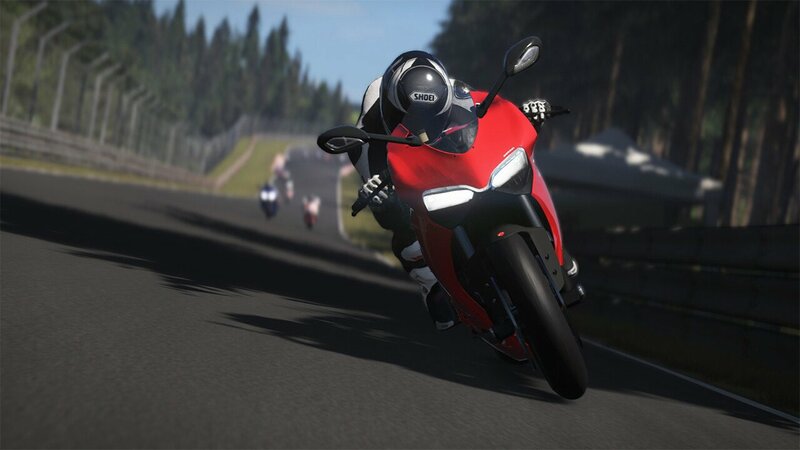 Most of the bikes must be purchased, and since all the events have drastically different rules players will need a lot of bikes to beat the game. It’s true that I won a new bike every 10 to 15 races, but this is a problem because I needed a new bike every 5 or so races. It’s not that players can’t take their first bike into most of the content, it’s that the first bike won’t be competitive. Each event (a grouping of 4 races) comes with a drastic increase in the upper power limit, and each bike can only be upgraded so much. Thus, I was replaying races once I had better bikes to get better lap times and earn more credits to buy new bikes to win other races. It became a very tedious cycle. To make matters worse there is a single garage to pull all the bikes from. 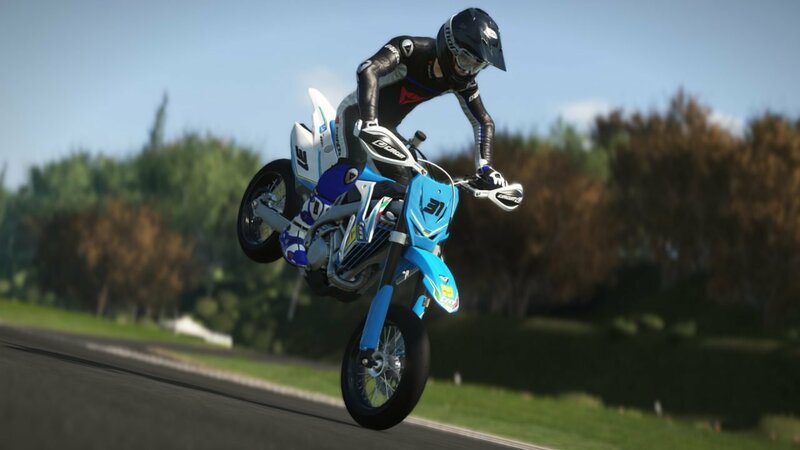 Most online games were set up to use the most powerful bikes in the game, so it will take some time to earn a single bike that will let players enter a bunch of online or offline events. This is especially true when you first start playing and must beat some low power events to earn points and expand your bike collection. To play online and offline competitively I was managing my inventory heavily and selling off the occasional bike to continue racing. I could have simply joined any online game initially but I would have been lapped very quickly. Alternatively, I could have just bought a super powerful bike for online races, but that would have taken all the money I needed for low power campaign bikes. Now with all that said, should you pick up Ride 2? To answer that question, simply ask yourself “what kind of bike am I?” When pressed to reveal my motorcycle-based alter ego I could not come up with an answer, and that alone proves that I am not the type of person who should buy Ride 2. I am not implying that you won’t have fun with Ride 2 without a bike background, but Ride 2 assumes you are coming to the party with bike knowledge in tow (or at least in a saddle bag). 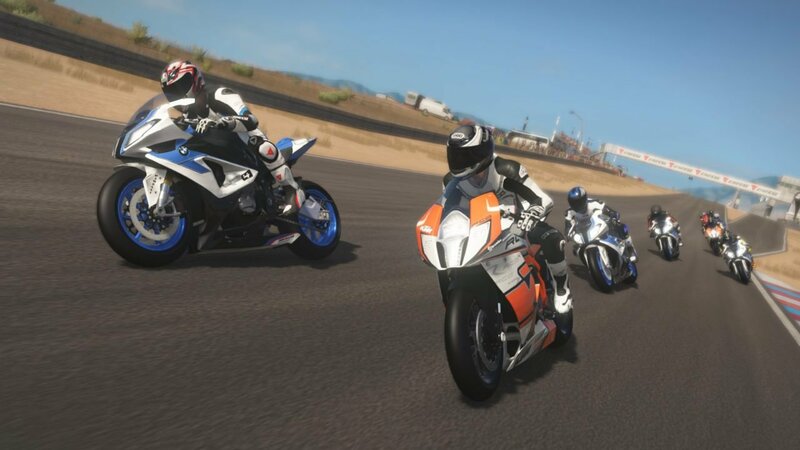 Despite the similarities, Ride 2 is not as user friendly as Microsoft’s annual racing games. This means players are going to have to really work to ride with the best, and that’s an uphill battle they may not want to fight on your recreational time; although, if you are interested in bikes, or getting into bikes, this is a safe and cost effective way to start an obsession.